Houston’s only women-only half marathon race, this event unfolds through a pair of city parks nestled along the Lake Houston shoreline, about 20 miles from the city’s downtown. $65 through this weekend. Run through the historic streets of Fredericksburg, Virginia, this scenic race unfolds past the Thomas Jefferson Religious Freedom Monument and along a long stretch of the Rappahannock River. $70 through this weekend. Run along the Potomac River just minutes from downtown Washington, D.C., this low-key race draws around 150-200 runners each December in the Carderock Recreation Area. Free for members of the running club that organizes it; $5 for all others. Mostly fast, flat terrain along the biking and hiking trails of Eugene, Oregon, await at this race, which unfolds along the Fern Ridge Path and features plentiful views of surrounding prairie and wetlands. $50 – $60. Often called “the South’s fastest marathon” thanks to its location along the St. John’s River in Jacksonville, Florida, about 80 percent of this race is run under the cover of tree shade and it features no hills, bridges or overpasses. $45 – $60. Since its first running in Albany, N.Y., back in 1977, this race has become a New Year’s Day tradition for hundreds of runners, and it features a noon starting time to take the edge off the wintry weather. Free for members of the running club that organizes it; small fee for all others. A small race that unfolds through Florida’s Ocala National Forest countryside, this “pancake flat” course has been run by around 200 participants each year for more than three decades, and usually experiences perfect running weather with temperatures that top out in the 70s. $30 – $40. Run through the streets of Mobile, Ala., the city locals say is where Mardi Gras really started, this race shows off plenty of Antebellum-era homes on Government Street, and stretches past historic cemeteries. $50 and up. Considered an excellent warm-up for the Los Angeles Marathon, the OC Marathon and the Surf City Marathon later in the year, this Irvine, Calif., race unfolds through suburban neighborhoods, city parks and along San Diego Creek. $70 – $80. Believe it or not, a thousand or so runners brave the cold of St. Paul, Minn., each January for this race, which is part of a weekend-long festival that features ice-skating, ice-carving competitions and ice castle replica buildings. $50 – $55. Nestled just off the coast of Savannah, Ga., Tybee Island still maintains a wild, untamed quality about it, and that’s the quality runners will take in as they run past the Tybee Island Lighthouse and into the Fort Screven historic district. $75 and up. Filled with dramatic red-rock landscapes and gorgeous southwestern scenery, this Arizona race offers a challenging, hilly, high-elevation course through Sedona’s red rock spires and mountain valleys. $55 – $80. Run through San Leandro Marine Park just across the bay from San Francisco, Calif., this race features a variety of paved and crushed gravel trails along the Hayward Seashore, which winds its way through salt and freshwater marshes. $69 – $84. Run through the hometown of golf’s legendary Masters Tournament at this late winter race, which shows off Augusta, Georgia’s wide, tree-lined streets, the architecture of its restored and vitalized areas, and authentic Southern charm. $55 – $85. 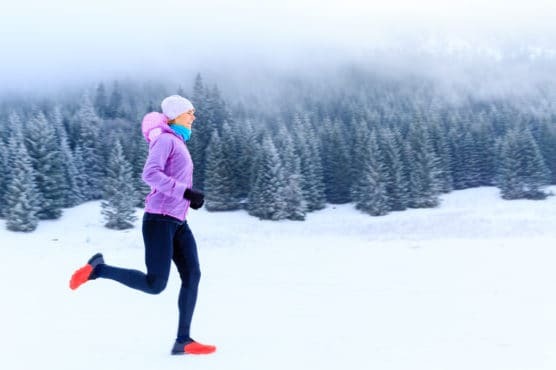 What must be one of the nation’s coldest races takes place along the shoreline of Seeley Lake, Montana, each February, when several hundred runners make a single, snow- and ice-covered lap around the lake before crossing the finish line at the city’s elementary school gym. $30 – $50.